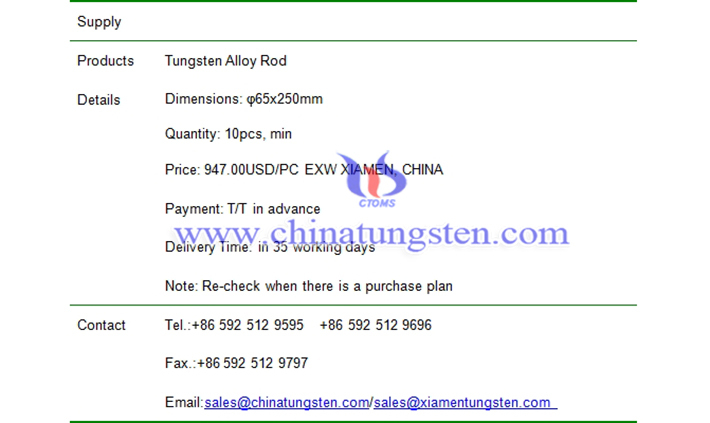 φ65x250mm tungsten alloy rod price is 947.00USD/PC on Nov. 07, 2018. 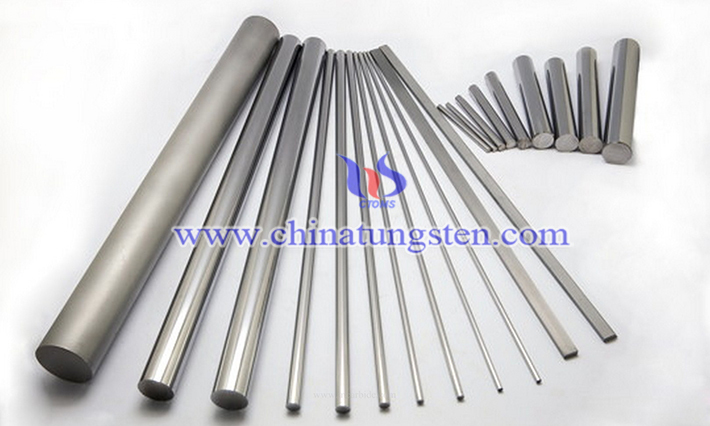 Tungsten alloy rod is produced by pressing and sintering into billets, which are worked by rolling or swaging into rod. Smaller sizes are produced by subsequent drawing. Tungsten rod is produced in straight random lengths with a smooth swaged surface at diameters 3mm and larger, and with a smooth drawn finish below 3mm. A center less-ground finish can also be furnished. Specific lengths and special fabrications can be supplied upon request.